- Bet on the biggest jackpots in the world - download the Lottoland App today! - Over 7 million players worldwide with over 750,000 Australians since launch! 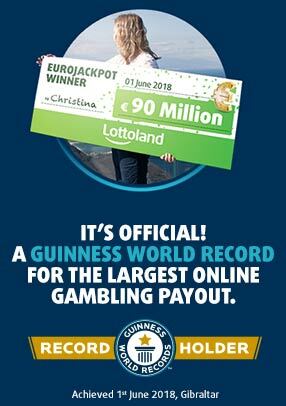 - We have paid out millions in prize money and achieved a Guinness World Records™ achievement for the "Largest Online Gambling Payout"! Who are we and who can use Lottoland? Lottoland is a global leader in online betting and we hold an online sports betting license issued by the Northern Territory of Australia under the Racing and Betting Act 1983 (NT) to accept wagers via the website at www.lottoland.com.au. Australian residents (excluding South Australia) can bet on any Jackpot offered on Lottoland.com.au. All wins are fully guaranteed with jackpots underwritten by major insurance firms, so you can be assured you'll be paid, even if you win one of the jackpots! Lottoland has offices in both Darwin and Sydney with its global headquarters in Gibraltar, where many of the world’s most prominent online gaming companies are also based.